Cyber attackers are always on the hunt for ways to gain access to sensitive data. They employ a number of techniques such as hyperlinks in emails, hacking email accounts, and creating websites designs that trick users into providing personal account information. IS&T is using a new feature that will automatically provide extra protection on the email links you receive in your email. It works by changing the hyperlink to point to our security provider, ProofPoint. When you click on the link, ProofPoint quickly verifies whether the site is known to be malicious, and if not, sends you to the final destination. This will not affect anything on the user's end for accessing the content sent to them. The new URLs will allows Proofpoint to validate the destinations of the sent hyperlinks or attachments against a database of malicious sites, which is continuously being updated. 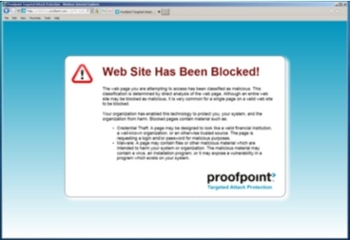 If deemed a threat, then the destination site will be blocked by Proofpoint. We understand that you may have many questions and concerns and we're always open for your feedback. If you would like more information or would like to provide your feedback, please email infosec@chapman.edu.